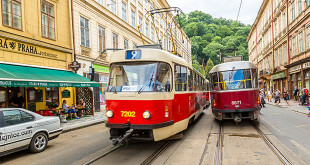 Funicular Railway to Petrin Hill is located just next to the tram stop Ujezd (trams 12, 22, 23) in Lesser Town. Railway runs daily from 9 a.m. to 11:30 p.m. (11:20 p.m. from November to March) in 10-15 min. 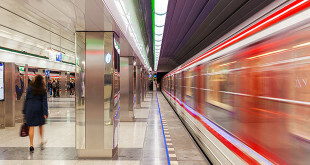 intervals and is operated by the public transport company. Funicular stopping halfway up the hill before continuing to the top. 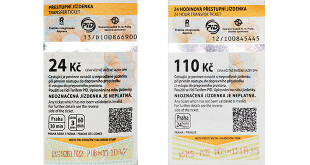 Fare is same as ticket for any public transport (costs 26 CZK). Funicular railway in Prague has a long history, dating back to 1851 when it used to work on water overbalance mechanism. After the First World War, the funicular railway has been bought by the Electric Company of the Capital City of Prague, which started a reconstruction of the old mechanism. 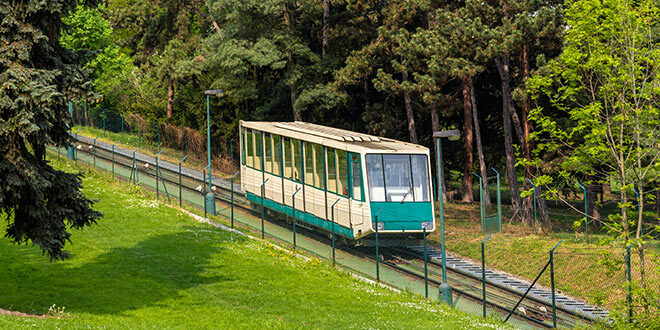 The funicular restarted its activity in 1932 after being electrified and run up to the year 1965, when, due to massive landslips at Petrin Hill had to be interrupted for about 20 years. In 1985 it started again to offer tourists and locals the superb view of Prague. At the Petrin Hill you can admire the magnificent view over Prague, see the Astronomical Observatory, or climb the mini Eiffel Tower or just stroll through Petrin gardens. Do not miss beautiful Rose Garden, opened in 1932.